Volko Spark Arrestor Chimney Caps... spark arrestor chimney caps... draft and ventilation solutions. 8" x 8" 6 1/2" x 6 1/2" to 9" x 9"
8" x 13" 6 1/2" x 11 1/2" to 9" x 13 1/2"
8" x 17" 6 1/2" x 16" to 9" x 19"
10" x 17" 8 1/2" x 16" to 11" x 18 1/2"
13" x 13" 11" x 11" to 14" x 14"
13" x 17" 11" x 16" to 14" x 18 1/2"
13" x 21" 11" x 20 1/2" to 14" x 22"
17" x 17" 16" x 16" to 18 1/2" x 18 1/2"
17" x 21" 16" x 20 1/2" to 18" x 22"
The area sizes above right represent the minimum and maximum dimensions of a liner that they will fit. If your measurements fall between these sizes you found the perfect chimney cap for your application. Wood burning stoves, fireplaces and even brick ovens ( home-made Chimeneas ) can emit burning embers which need to be suppressed by a mesh to prevent the possible igniting of fire to the surrounding area. 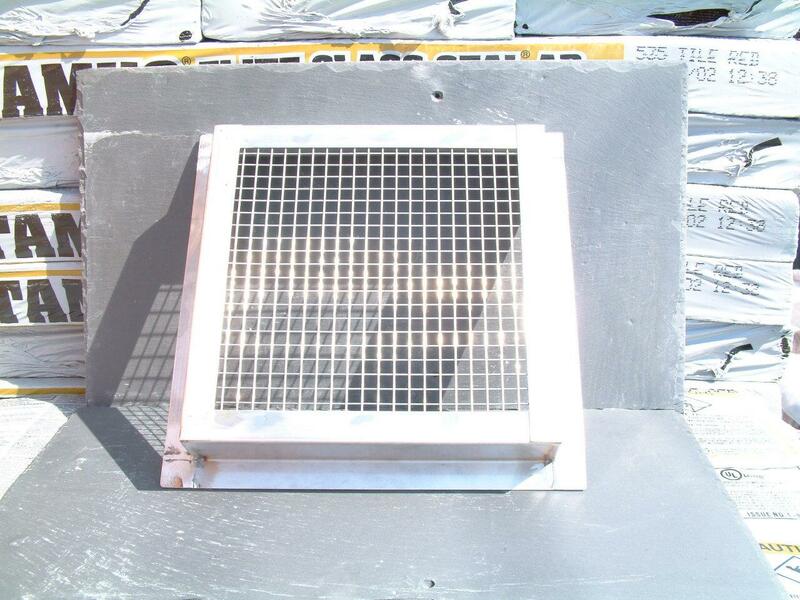 A Spark Arrestor is basically a mesh with openings measuring between 1/4 to 1" totally surrounding the flue, and with a solid top it is called a chimney cap. Your local Code will determine the recommended openings of the mesh. Too small an opening can cause drafting problems and or clog with soot and should be maintained "checked" on a regular basis ( as they should all be ) and too large an opening may not be as effective. A 5/8" or 9/16" mesh conforms to even California's codes and can be adapted to any of these chimney caps. We can also sell "sheet" or flat pieces which can be custom bent to fit in existing stone or decorative chimney tops with open sides. Our Chimney cap selection provides many different options to help you enjoy your fire place and wood stoves. Don't get frustrated. Downdrafts and other smoke related problems can put a damper (pun intended) on a good warming or festive fire, and cause negative and infrequent use. Educate yourself and call us to help solve the problem, and get out the matches. Enjoy.